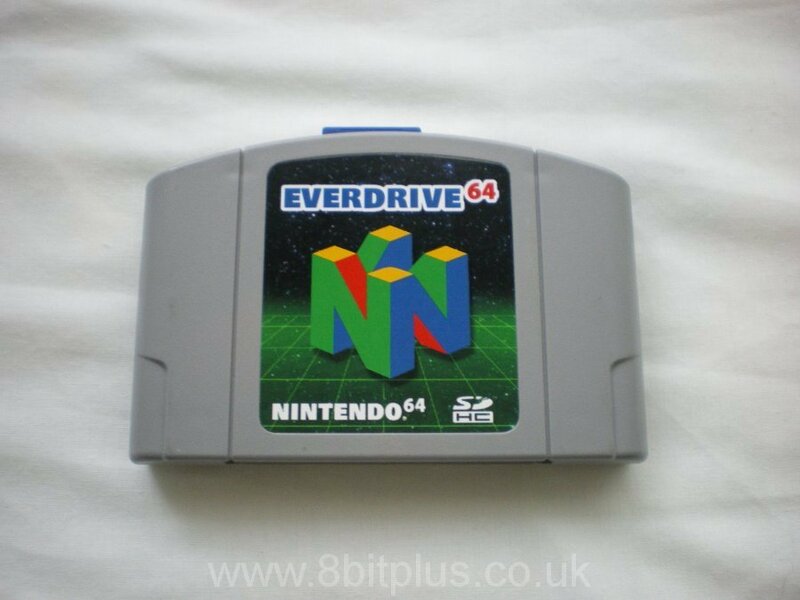 So I’ve been the proud owner of an Everdrive 64 board now for a week or so, and all I can say is its a fantastic little device. Krikzz has done a fine job on this for all us N64 fans. 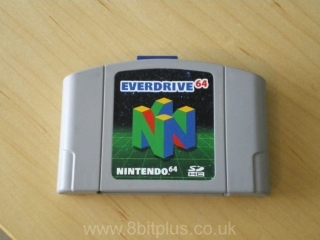 What is the Everdrive 64? Everdrive 64 is the latest flash card from Krikzz.com the maker of the Everdrive MD, Super Everdrive and more. In basic terms it’s a small pcb that fits snugly inside a N64 game case and allows game images to be loaded from SD card to RAM. This allows rom playback on a N64 console just like the original game cartridge. With an 8GB SD card you can contain the entire N64 library in one neat device. 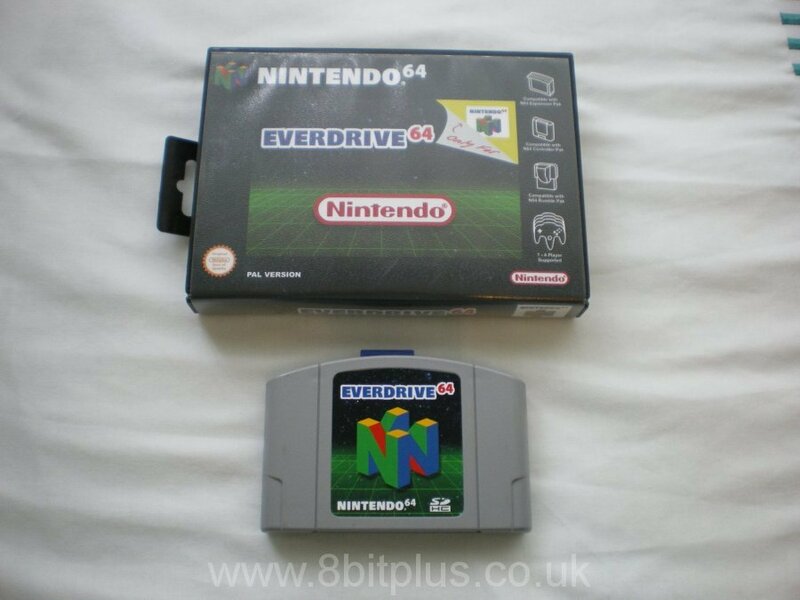 This is by no means the first flash or copy device for the N64, but ED64 is the first to load games from SD card by default, comes equipped with 512 mbit of memory and can handle almost all the copy protection and game saving complications. It’s small, needs no extra software to operate and its FAST. Early copy units needed an original game cartridge connected to the unit in-order to read the Nintendo CIC (copy protection) chip inside. The ED64 has this chip built in (either user installed or from reseller) and uses CIC emulation for most of the other protection combinations. This gives it almost full library compatibility, in fact only 2 games wont work and one of them can be hacked to do so. Another thing ED64 does well is game save support. 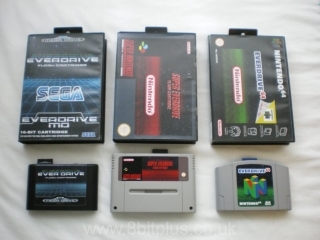 Not all N64 games use the same save system, there are 5 different ones. The ED64 can tell what system is used and handle it almost seamlessly. Just play your favourite game, save your progress, then when your done playing press the Reset button on the console. 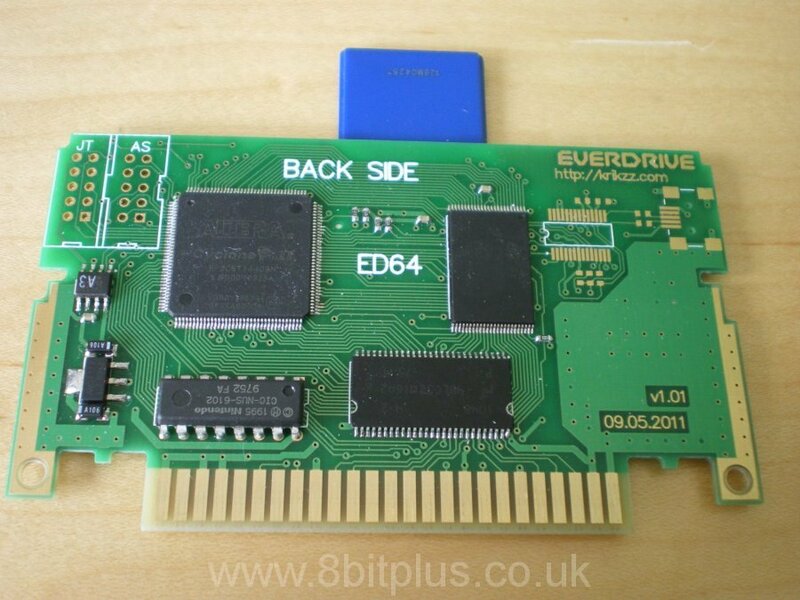 The ED64 then writes the game save data its holding onto the SD card. When you next load that rom the ED64 checks if there is a save file for that game in the SD card and loads it too. Simple. In my opinion this is a far better device than any of the older generation that used CD-Rom or ZIP Disk to load games. Its faster, smaller and needs no external power or wiring. You also don’t need to change the CIC “host” cartridge to play a game with a different copy protection system or save system. 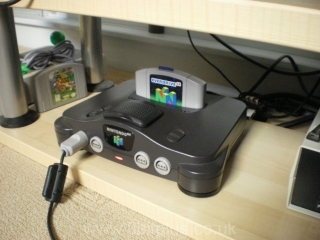 The only other flash device for the N64 on the market just now is the Neo Myth N64. It needs the roms loading on to it from a PC by USB and depending on the version of the card will only hold a couple of games at a time. Then it needs re-flashing with a different game rom and the save data backing up to the PC. SD card support was added later but with reduced capacity of the full card. The Neo Myth was also rather expensive yet still needed an original cage connected to the back for the CIC chip. Neo Myth is supposedly 100% compatible with all games if you have the 512 mbit version, but with all the other disadvantages makes this a less appealing solution than ED64. 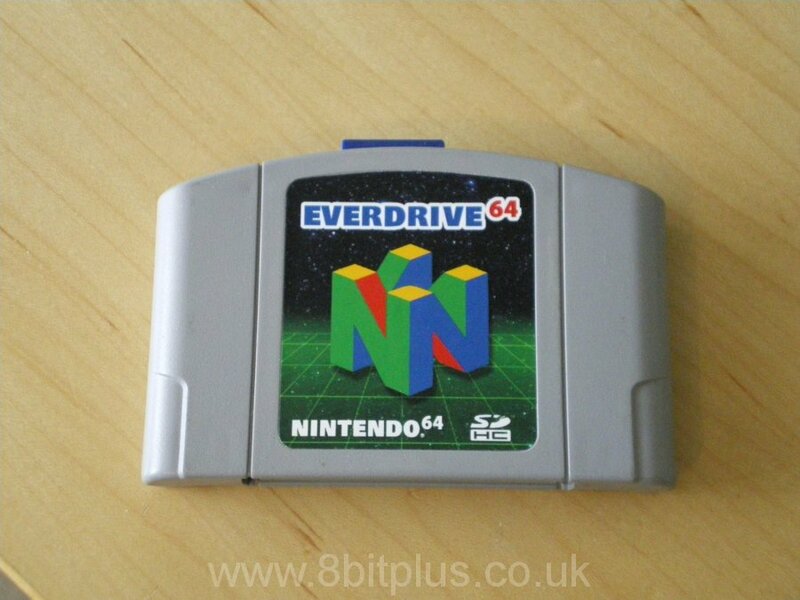 Announced and in the prototype stages before work started in Everdrive 64, but ED64 has got to the market first. 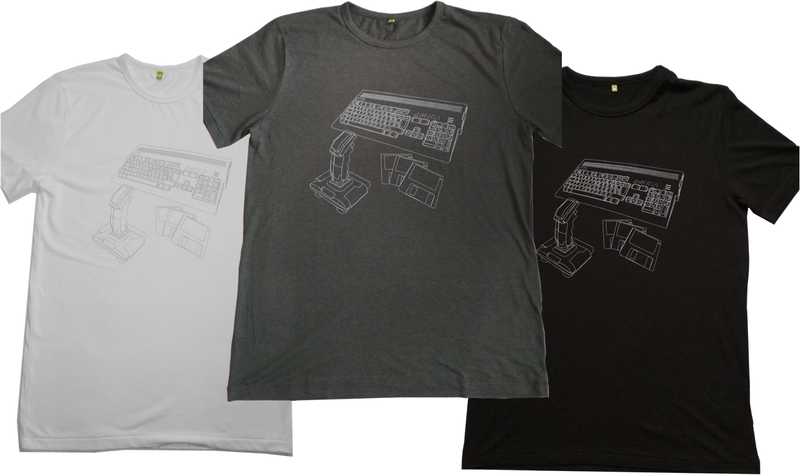 Its developed by marshallh at Retroactive. This is considered the N64 flash king at the moment. 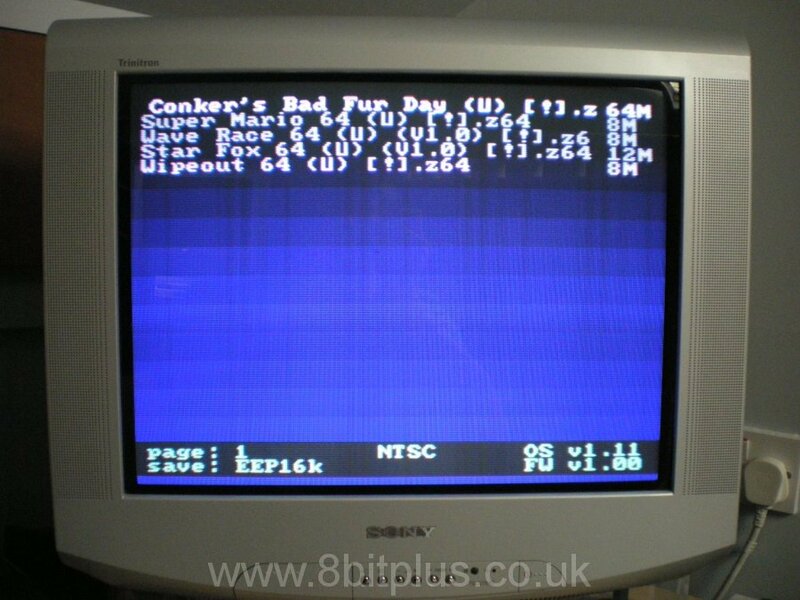 It features faster flashing, automatic save writing, audio/video file playback, fancy skinnable interface, CompactFlash and MiniSD card ports, also USB uploading and many more configuration options for the games and save files. What’s the catch? well its twice the price. This is understandable when you consider the time and development gone into the product as well as the features it has. 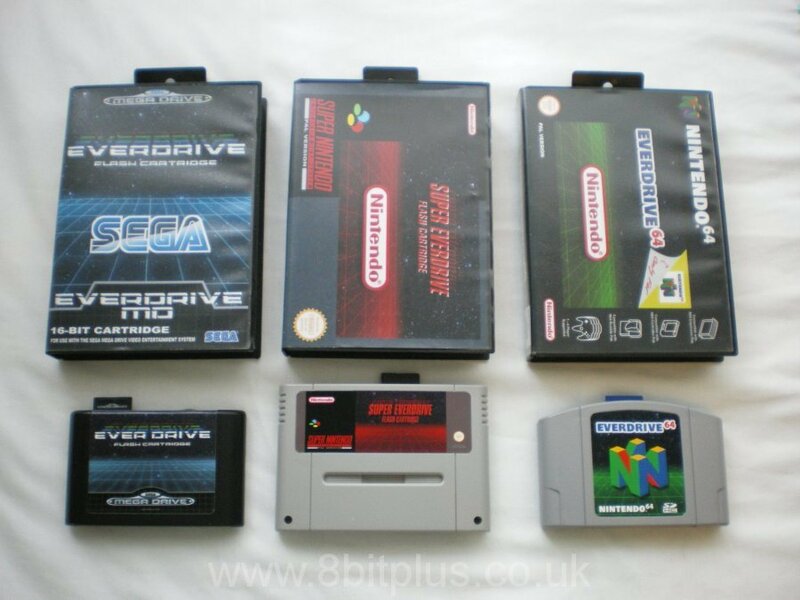 In my opinion the Everdrive 64 with its “keep it simple” approach is the better option (for me). It does all the same loading, playing and saving of games as the 64Drive while keeping a lower price point. Its easy to use and plenty fast enough. 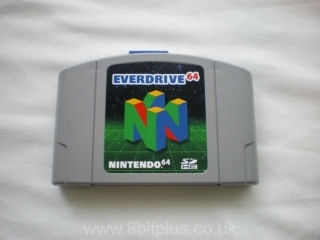 Like all the Everdrives I purchased so far, the ED64 requires a plastic cartridge case from a doner game. I found a louse copy of Shadow of the Empire, opened it up and removed the original PCB. The new label I designed in Serif DrawPlus. Then printed onto sticky back glossy photo paper. The box is actually a Megadrive game case modified to hold the N64 cart. As you can see it matches the other Everdrive boxes in my set. 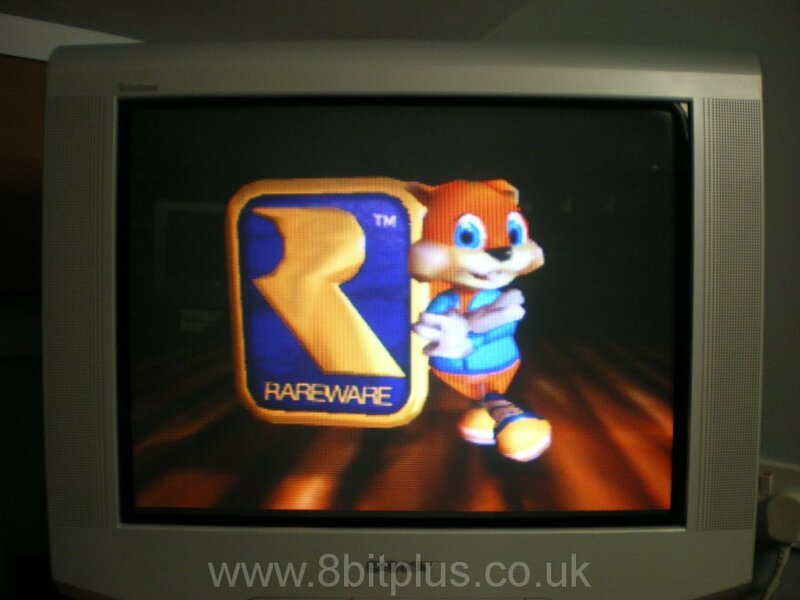 This is the best rom device I have ever seen on the N64 and only bettered by its rival the 64Drive. Its very affective, easy to use and priced well. A must have for N64 fans. Thanks for reading, feel free to leave a comment or question. Neil 8bitplus – 2011.